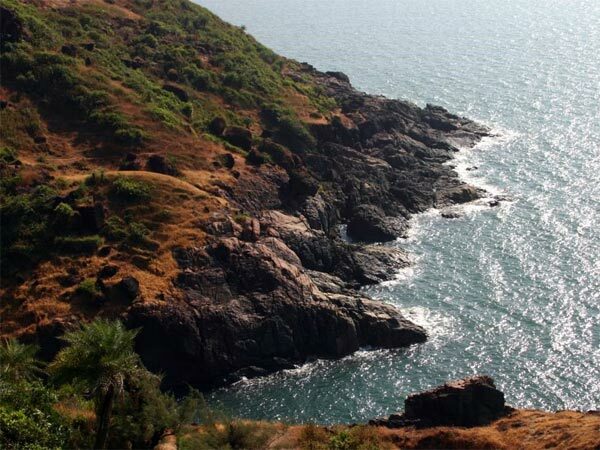 »Visit Gokarna – The Confluence Of Beaches And Temples! Visit Gokarna – The Confluence Of Beaches And Temples! Gokarna is a small town settled on the coast of Karwar, Karnataka. This town, previously famous for housing numerous temples and thus being a pilgrimage site, has recently been discovered by beach-lovers as a place of vacation. The untouched, clean sand and the blue waters of the beach lure many tourists to have some quiet, laid-back time. Gokarna is now a town that fulfills the wishes of those in need of a beach as well as those in need of a pilgrimage. Gokarna literally translates to "Cow's Ear", and it got this name because locally, it is believed that here Lord Shiva manifested out of a cow's ear. Since Gokarna is located at the confluence of river Gangavali and river Aghanashini. With plenty of temples to visit and beaches to relax at, Gokarna makes for a perfect weekend destination. Gokarna can be visited in summer and monsoon season, i.e, between November to June. The temples in Gokarna can be visited during Shivarathri and Ganesh Chathurthi festive seasons. Continue reading to know about the places to visit on the way to Gokarna. Devarayanadurga Hills, also known as Anebiddasari or Karigiri Hills, is located roughly 70 km from Bangalore. The hills are a popular spot for trekking. There are various options of trekking ranging from levels of easy to moderate. One pathway is made of well-defined stairs for an easy trek, while the rest aretreks through shrubs and bushes. Make sure you look out for cactus plants and/or sloth bears. Devarayanadurga also houses two beautiful temples, Yoganarasimha and Bhoganarasimha Temples; one at the summit and the other near the foothills. Chitradurga is a land of heritage, mostly from the Chalukya Dynasty. This city has quite a few historically significant spots such as Chandravalli and Chitradurga Fort. Excavations at Chandravalli have revealed coins and other artefacts that belong to many ruling dynasties, because of which, it is now an archaeological site. Underground caves at Chandravalli is a tourist hotspot. Located 80 ft below the ground, the cave houses a temple known as Ankali Mutt. A lake nearby enhances the beauty of the place. Chitradurga Fort was built and expanded by many dynasties that ruled Chitradurga. Also known as Kallina Kote locally, it is a beautiful fort with citadels, warehouses and numerous temples. With hills, caves and a lake, Chandravalli is a must visit sit in Chitradurga. If you have been in Karnataka for some time, you know that this is the best dish loved by the whole state! Davangere Benne Dose is a popular and super-delicious dish, the flavours of which originated from this very place. So don't forget to stop at Davangere for their yummy Benne Dose at any cost! Davangere is also home to a number of temples that must be visited such as Harihareshwara Temple and Durgambika Temple. Located 45 km from Davangere, is the Ranebennur Blackbuck Sanctuary. It houses the largest number of blackbucks or "Krishnamruga" in the state, with about 6000 blackbucks in the region! The sanctuary is densely covered with plantations of Eucalyptus and is also home to many other animals such as Jackal, Langur, Fox to name a few. Great Indian Bustard is an endangered bird species that are also found here in the Ranebennur Blackbuck Sanctuary. Visiting Haveri can be your pre-pilgrimage spot before reaching Gokarna! This town is filled with temples dedicated to many deities. Hukkeri Math, Tarakeshwar Temple, Kadambeshwar Temple, Siddheswara Temple, Nagareshwar Temple are some of the many temples situated in this district. Bankapura Peacock Sanctuary is a popular place to visit in Haveri apart from temples. Being one of the few sanctuaries exclusively protecting peacocks, this sanctuary is home to other bird species such as Parakeets, Kingfishers, Spot Woodpeckers and more. Sirsi is a town located around 80 km from Haveri. While the town has a few temples such as Madhukeshwara and Marikamba temple, it houses a number of waterfalls, all in the vicinity of average 50-60 km from Sirsi. Unchalli Falls, Sathodi Falls, Benne Hole Falls are some of the closest and most famous falls of Sirsi. Unchalli Falls is a beautiful waterfall located in the Sahyadri hills of the Western Ghats. It is created by river Aghanashini, falling from an altitude of 116 m.
Read further to know about places to visit in Gokarna! You have finally reached the last destination, Gokarna! The place is packed with enthralling beaches, perfect for just laying back and having a good time. Golden sand, blue clear water and sun rays on a sunny day, here's Gokarna for you in a few words! Om Beach is the famous one among both foreign and Indian tourists. The beach gets the name due to the shape that is similar to that of the "Om" symbol. Kudle Beach, Paradise Beach and Gokarna Beach are the other popular beaches in Gokarna. For the adventure bug in you, Gokarna offers numerous water sports activities. Surfing is one such activity wherein, local surfing centres teach you how to surf for a beginner's level. Surfing gears will be available at the same place. Snorkelling is diving into the sea and experiencing a whole new world of the underwater! The dive might be for about 15 ft, where you'll get to see beautiful coral reefs, sea urchins and angel fishes! If you get lucky, you might get to swim with sea turtles or dolphins too!! Water sports does not end with surfing or snorkelling, there's a lot more that you can do in Gokarna. Jet skiing is nothing but sitting on a banana boat that zips across the water! You can cruise over the pleasant waves, typically for 15-20 minutes, and just feel the salty sea breeze. You must parasail to experience a strong adrenaline rush! Here, a rope of about 300 ft is attached to a speed boat, with the other end attached to the parachute. It will fly in the sky as the boat speeds on the sea! However, parasailing is available only between the months of October to February. As mentioned before, Gokarna is home to a number of famous temples. Mahabaleshwara Temple, Maha Ganapathi Temple, Tamra Gauri and Venkatramana Temple are the four major temples that must be visited. Mahabaleshwara Temple, which is the most popular one, is dedicated to Lord Shiva. Built in the Dravidian style of architecture, the stone carving of Lord Shiva found in this temple is believed to be at least a 1,500 years old!